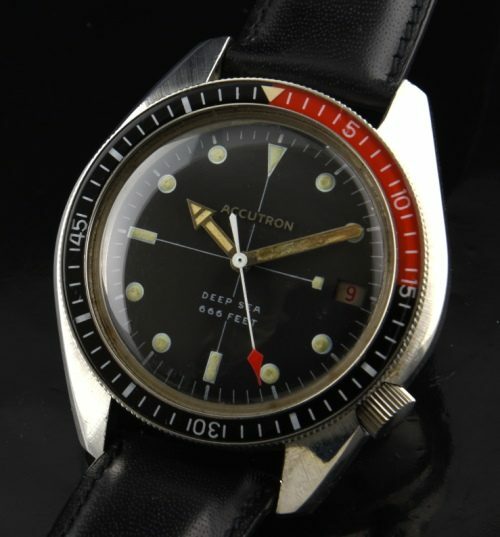 This BULOVA Accutron Deep Sea is the MOST desirable of all the Accutron dive watches and is known as the “Deep Six”. This stainless steel 1970 watch measures 40mm. 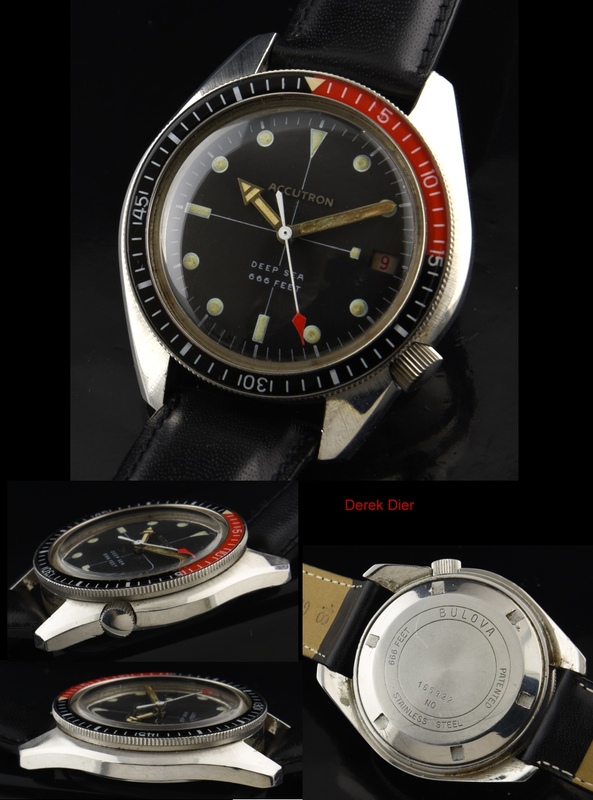 and has a pristine red and black bakelite bezel. The original dial and hands have taken on a vintage patina. The stainless steel screw-back case is without any major dings or scratches. The Bulova Accutron electric movement is keeping accurate time.